You are here: Home / Marriage / In-Laws / HELP! 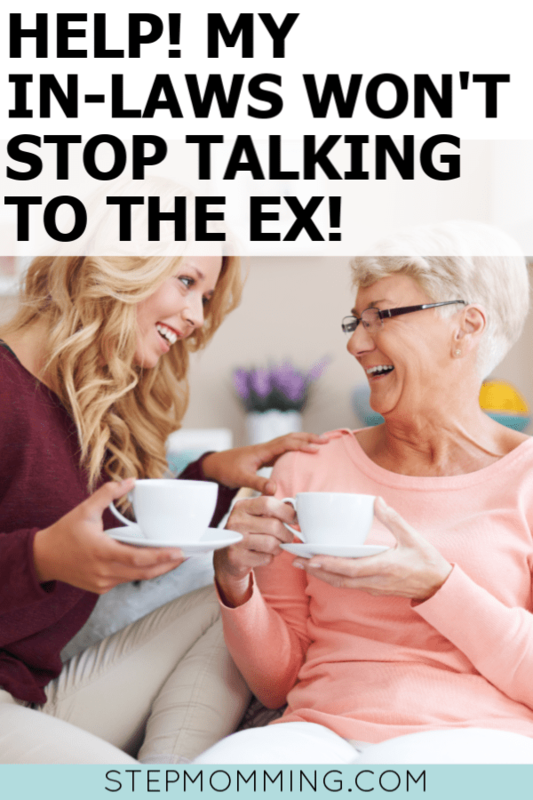 My In-Laws Won’t Stop Talking to The Ex! HELP! My In-Laws Won’t Stop Talking to The Ex! Disclaimer: This article is not intended for abusive familial relationships. This article is written for stepmoms who feel undermined simply by their in-laws maintaining a relationship with their stepchildren’s moms. When we were growing up, basic “Girl Code” was pretty clear that once your friend had a breakup, you had to stop being friends with her ex. As you grew older, those boundaries became increasingly more complicated. The friendships built during the relationship may have had a profound impact on your life, and you didn’t want to totally ghost that person forever. Maybe your friend’s ex is unavoidable at work, in class, or at the gym. Add to that the new age of social media we are living in, and it may seem impossible to totally excommunicate anyone from your life. Today, as a stepmom, you know that “Girl Code” is really all about sneaking snacks with your stepdaughter behind your husband’s back. You have created a close-knit family with your husband and his kids, and sometimes have to pinch yourself when you realize how lucky you are. There’s just one small problem… your husband’s family is still friends with your stepchild’s mom. Okay, maybe “friends” is a stretch… but you know they’re maintaining communication. Since you’re a glutton for punishment, you’ve done your research and know that his relatives are still friends with her on social media. Your mother-in-law seems far too excited to step in for a child exchange while you and your husband are at work. Your sister-in-law just shared an old “memory” from 6 years ago to her wall of a family gathering that you were not present for, but your stepchild’s mom was. You don’t understand why everyone is still in touch with her. When you really reflect on it, you become infuriated. You have spoken to your husband about it 10 too many times, and he is tired of being the punching bag by barking your command of “you have to stop communicating with her,” to his parents, only to be met with verbal conflict or blank stares. It’s exhausting. You feel like you’re not being heard. You feel like your husband is prioritizing your stepchild’s mom before you- his wife. This may be an impossible situation to “get under control.” Even if your husband is able to get his parents to cease communication with your stepchild’s mom, there are still extended relatives and mutual friends who are tied to her in one way or another. Those people have a history with her and a relationship built with her. Your husband having a nasty divorce and custody battle may not have impacted their opinions of her at all. All of their memories may be positive. She may have been there for them when they needed a friend. You can’t take their memories or their friendships away from them. Think about it, how sad would it be if the Kardashian/Jenner family couldn’t speak to Scott Disick anymore?! Additionally, there will be times when everyone has to come together for the child. Whether it’s a dance recital, a classroom party, or your stepchild’s wedding, your in-laws and mutual friends with children of similar ages will all be in contact with your stepchild’s mom at one point or another. In the grand scheme of things, is it really a big deal that some of your husband’s relatives are maintaining ties to his ex? Do those relationships make your relationship with your husband any less significant? No. Do those relationships define your worth? No. As stepparents, we are forced to pick and choose our battles frequently. When it comes to the child, it’s common for us to step back and let the biological parents make a decision, even if we don’t agree with it. 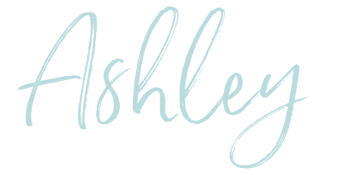 Of course, our opinion matters, and should always be expressed to our husbands, but at the end of the day, if he and the child’s mom see it a different way, then we have to decide not to choose that battle. When it comes to your in-laws maintaining a relationship with your stepchild’s mom, it should be no different. If your husband doesn’t see a problem with it, then it may not be a battle worth fighting. The first thing you should do is set your firm personal boundaries. You should cease communication with whomever is causing you unnecessary stress, except when communication is absolutely necessary. Delete or block certain people from your social media accounts for peace of mind. Relatives do not get a pass to make you feel like crap. If you or your husband have calmly and directly told these people how their actions make you feel, and the actions continue, then you must default to what is within your control, disengaging. Your happiness is within your control. If you can’t change their perspectives, then you must do whatever you need to do to protect your mental health. It’s hard to do, but always try to assume good intent. Your in-laws may be maintaining a relationship with her to have open communication with your stepchild while they are in her care, and to help keep the peace between the two homes. Instead of being quick to assume that your mother-in-law texting your stepchild’s mom is a sure sign she dislikes you, try separating those thoughts. Their relationship is in no way a reflection of your relationship. If you can’t assume good intent, at least assume ignorance. Your husband’s extended family may not even realize they are still friends with her on social media. They also may not see their interactions with her on social media as a big deal. This could be for many reasons, one being that stepfamilies are hard to understand unless you are in one. They likely just do not understand your triggers or insecurities as a stepmom or second wife. So, the next time you notice your husband’s second cousin commenting on a Facebook picture and your body starts filling with rage, remember, you can’t control anyone other than yourself. Set and communicate your boundaries, assume good intent (or ignorance), and keep your chin up. Even when you feel exhausted, and even when the insecurities come creeping in, stay strong in your marriage. Remember that as long as you both continue working on yourselves and growing together, you can ignore the riff-raff that life throws your way, and live a long, incredible life together.